This is an experiment that I tried using my new digital editing tool - Pinnacle Studio DV. Our friend Tom had a room on the first floor of the Taj Hotel in Jodhpur, India. After dinner he was frustrated by the elevator which refused to take him from the first floor to the first floor. So we re-enacted the incident. Soon, everyone had to get into the act. Hotel staff were certainly puzzled by the five people giggling and having a great time in the elevator lobby! Music was well-selected, the fun Give Up the Funk by George Clinton & Parliament Funkadelic is perfect for the comedy. This was a great idea that begs to be shortened. After 5-1/2 minutes of giving up the funk, the joke is tired and boring. I think the re-edited duration should be about thirty seconds. Perhaps it could be reprised as part of a longer production, for instance a ten-second version could be funny if it appears later in the movie. This is the first of three clips from our second trip to the India subcontinent. These were also the first videos I produced 100% digitally, using the previously discussed Pinnacle Studio DV. My Windows PC sputtered, gasped, and crashed multiple times but was able to output these three edits before in-between upgrades of hardware and software. This six-minute video actually tells a story! Beginning with title, map, and a waving brochure we know that this will be a sightseeing flight to the Himalayas on Buddha Air. Beginning with a lot of humor, the viewer knows they will enjoy their time with these tourists! 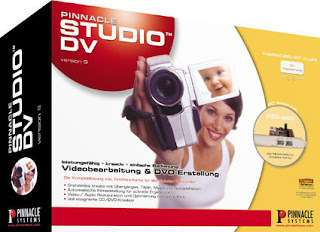 Pinnacle Video Director Studio 200 enthusiasts were very active in discussion forums. The technology was exciting, but necessarily limited by our consumer-grade equipment. My PC was unable to control camcorder playback functions with Panasonic's 5-pin interface. Others had more success if their camcorder used Sony's LANC control. After spending hours with Pinnacle's tech support people, they invited me to beta-test a new product. 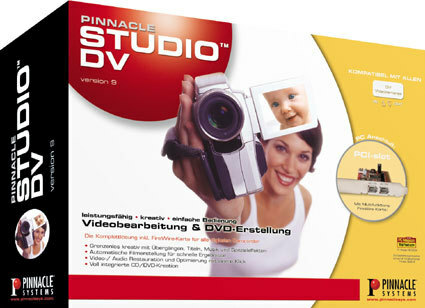 Pinnacle Studio DV was released in 1999, shipping with a Firewire PC-interface card and new software. Fully-digital non-linear editing was now within reach of non-professionals! But users were still limited by Windows system crashes, expensive hard drives, and the FAT-32 file system. I now entered a never-ending cycle of upgrading hardware > upgrading software > upgrading hardware > etc. It was impossible to reliably produce a long-form production. However I did manage to create three short videos from our second trip to India in 2000, plus another little family fun video. Those will be the next four discussions on heNBC's History of Vacation Video. 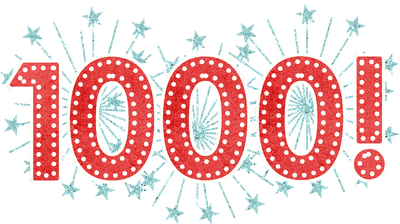 This blog passed a milestone today. Thanks for taking the time to look at www.henbc.com. When I previewed the twelve mind-numbing hours of raw footage from our trip to the Amazon, I had no idea what the video story would look like. Although the destination sounds exotic, scenes of leafy canopy and flooded river will only hold audience interest for a few minutes. Peru is actually a more entertaining subject. Later that year, I was experimenting with feeding broadcast television through a VHS recorder onto my camcorder. After successfully recording a few programs on miniDV, I used Pinnacle Video Director Studio 200 to create a bizarre mix tape. The incomprehensible story told in this mix could have become the basis for a Peru/Amazon vacation video. Here's the plot: Imagine the bad guys from Magnificent Seven battle the Starship Enterprise and The Highlander, only to be foiled by Rocky, Bullwinkle, and The Three Stooges. The world is certainly thankful that I dropped this idea! This was an early attempt to extract the "Best Of" from the original long edit. I was corresponding with other early adopters of Pinnacle's Video Director, and they wanted to see what I was working on. Angelfire.com offered free hosting up to five megabytes; I created a rudimentary site with Microsoft Frontpage. Then I produced and uploaded a low-resolution RealVideo file using Video Director 200. "The Ten Minute Antarctica" is the first movie I ever posted to the Internet! This is a quick, funny clip from Antarctica. The baby penguin had too much krill in its belly, and it exploded violently in front of the camera! This is one of those moments when you are lucky to have the camera running. Just a few seconds long, but it would make a cute transition between longer chapters of a complete vacation video. I took twelve hours of video during our multi-destination vacation in February of 2008. Beginning in Bariloche, Argentina; crossing the Andean lakes to the coast of Chile; from Santiago to Easter Island; returning to Santiago and then on a cruise to Antarctica. You know from previous posts that my analog 8mm camcorder had failed; to replace it I invested in an early miniDV unit made by Panasonic ... the AG-EZ20. I loved that little camcorder, used it around the world until it was pick-pocketed in Paris. Although the video was captured in DV, there were no affordable hobbyist solutions for digital editing. So a 105-minute analog edit onto VHS tape was made with the help of Video Director Studio 200. This six-minute Easter Island excerpt is the first of three that I'll be writing about on heNBC.com. When the cruise ship arrived at Port Blair, Andaman Islands, it was greeted by a discordant local band playing ... Que Será Será. Well that could have set the stage for a crazy video; and it might in some future edit. But remember, this is 1997 and we're happy just to superimpose a few titles using Video Director Studio 200! There is also a technical disaster. Shortly after capturing the musical greeting, the 8mm analog camcorder stops recording usable video. So there are few usable video memories from this location and also the next cruise stop, which was Yangon, Myanmar (Rangoon, Burma). Thankfully there is no tape damage in this two minute clip. Excerpted from the original 80-minute edit on VHS tape, the viewer is introduced to the beauty of Cochin, India. The scenery is nice, with a little humor as we are surprised by the name of a neighborhood called "Jew Town". Pleasant enough, but this is just a slideshow of unmotivated moving pictures. I think we could do better if edited today, using some of our previously discussed editing tricks. You included this scene for a reason, make sure the viewer understands your motivation. It needs to be part of a story. A pyramid of acrobatic drummers greets the ship in Mangalore, but the original tape is heavily damaged at the cashew and roofing tile factory tours. Some music replaces the sound and a few still photos supplement the jumpy video. Video Director Studio 200 allowed me to create titles that explain no video cameras were allowed within the Taj. So there's a "first ever" digital slide show. By 1997 I had been making manually-edited videos of our vacations for eight years. 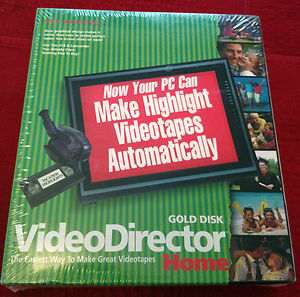 Pinnacle Systems was advertising Video Director Studio 200 in Videomaker magazine with the questionable claim "Edit videos like a pro, right on your PC!" Pinnacle Systems had specialized in professional video editing equipment and software. 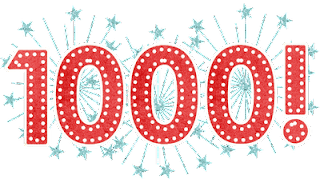 Now they were dipping their toes into the hobbyist market after acquiring a product, "VideoDirector," from a company named Gold Disk. For $200 I received sets of cables and a mysterious "purple box" that needed to be connected to my '286 computer which was running either Windows95 or Windows98.